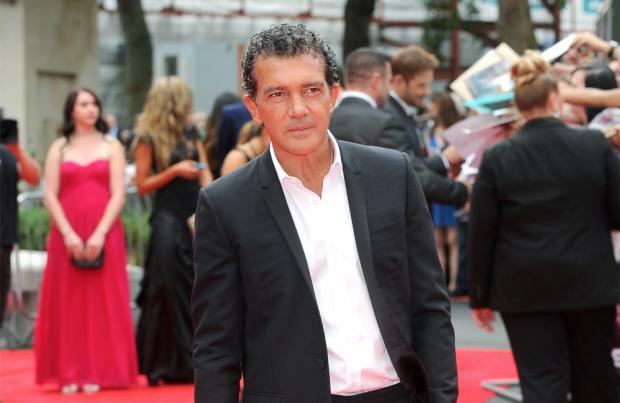 According to Antonio Banderas, 'The 33' tells "essential stories about life itself"
Antonio Banderas' latest film role tells "essential stories about life itself". The 55-year-old actor stars as Mario 'Super Mario' Sepúlveda in 'The 33' - which tells the story of the Chilean mining disaster - and he has claimed the survival drama teaches some broader life lessons. He said: "We have seen movies that we know the outcome of. Movies like 'Titanic' and 'Apollo 13', but the ordeal, the stories, the little details, the nuances - the subtleness of the relationships is very important there. "It is just giving us simple but essential stories about life itself." Antonio met 'Super Mario' before he started filming and revealed it was a "great" experience. He told Today.com: "He gave me a lot of data and information about himself and the situation that they lived, the event. "And I found, basically, a survivor. A man who since very early in his life has had to struggle to survive. Life gave him an opportunity to use all of that knowledge and skills to save 32 people." The movie was shot in real mines in Colombia, and Antonio admits he has mixed feelings about the experience. He shared: "It was kind of miserable. We were shooting in mines, real mines, in Colombia ... it was very good for the movie and very bad for us."